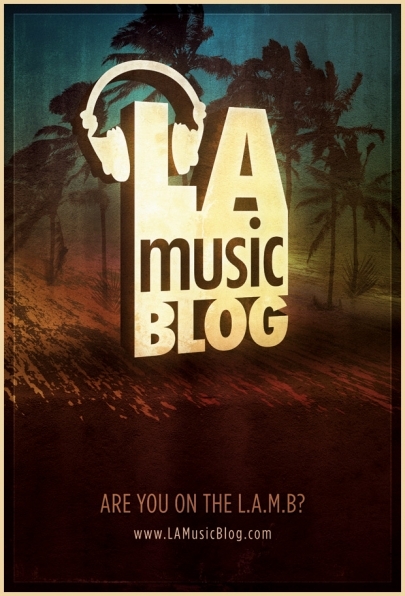 The branding direction that was chosen for LA Music Blog is centered around a rainbow of colors, heavily treated with grunge effects. Here we tried to portray Los Angeles in the poster as warm and exciting, yet uniquely urban. LA Music Blog focuses on the artists of southern California, and most importantly on the live concert scene. This poster was designed in order to evoke the feeling of a sun recently setting, with the logo emitting light.